Great writing is not only beautiful on the page, and poetic to listen to; it can also create strong emotional reactions within the reader. We spend hours flicking the pages, getting to know the characters, feeling invested in their future, until they become real to us. For me, it feels like I am reading about a friend; someone familiar with a story I haven’t yet heard. And so, when things don’t turn out the way I expect, it can hurt. Their loss becomes partially mine, just as their joy becomes partially mine. The shock is even greater when I foolishly see the movie first. 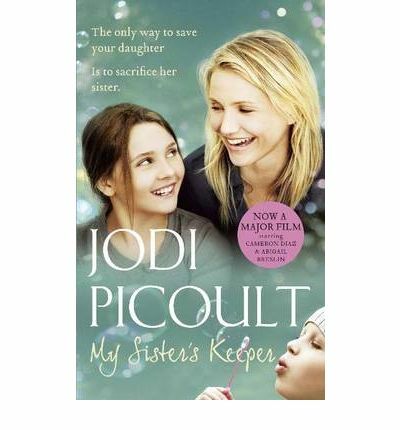 I saw ‘My Sister’s Keeper’ years ago and though it was an intriguing story, so I bought the book. (This was the third book I specifically searched for at the Lifeline Book Fair.) Reading through the book, I found myself noticing the differences between the written version and my memory of the film. A character was missing from the film, another received a greater role than the one he played in the book, and a whole scene was created for the movie. However, the biggest difference was the ending. The writing was stunning and carried me through to the end with skill. But the final shock was, I think, greater because I absolutely did not see it coming. Why do books have this power? Because we invest in them. I can highly recommend ‘My Sister’s Keeper’. It is a masterful piece of writing with control over the multiple characters, and a tight timeline. It was gripping and thought provoking and at time, funny. But what it excelled at, was in making the reader feel something. And that, is worthwhile. ooh – i want to read it now too! and, i’m not even a novel person!